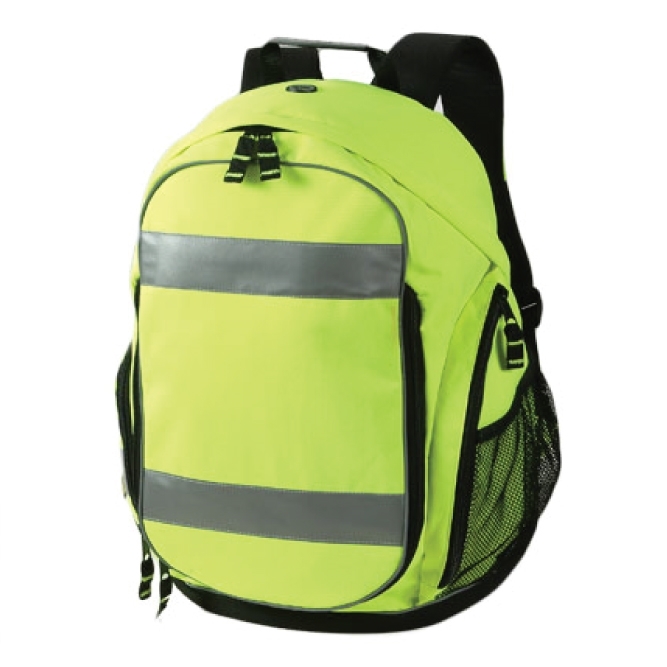 Large size backpack, perfect for everyday use. Features a spacious, expandable mesh storage option in front of main compartment; wet/dry storage option for both clean and soiled apparel. Contains zip side pocket, water bottle holder, and ventilated shoe compartment, interior audio pocket with cord portal. Comfortable, padded shoulder straps, sturdy web haul loop & ID pocket. 2” reflective trims for extra visibility. 600-denier polyester straps on PVC; shoulder straps adjustable from 17” to 30” long.